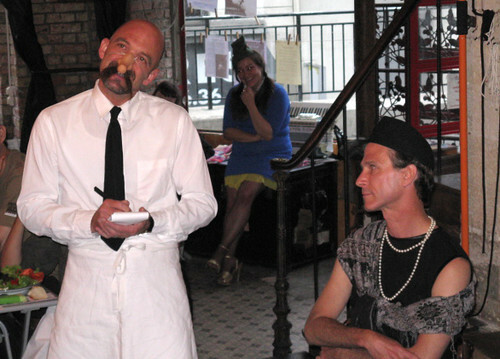 by Michael Merino, performed at the Ogresse, July 17, 2008, by the Est Paris Theater. Robert Bradford as Man/Waiter; Perry as Woman; directed by Damian Corcoran. Photo by Lari Lucien.